Fiber art and textiles must be one of the most difficult art forms to capture properly in photography. 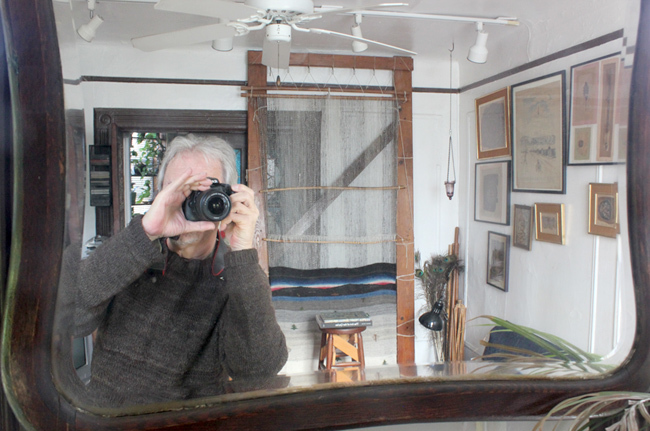 With the advent of digital technology in recent years, it has become increasingly possible for fiber artists themselves to record their work and activities photographically and to be able to share this ancient art form far more widely. One of the unfortunate losses of this field's millennia-long history has been the loss of most ancient textile artifacts. A major reason for the loss has been the comparably fragile nature of the materials. Whereas ceramics, metals, stone and the like can often survive centuries of erosion and exposure, textiles and fiber are far more susceptible to disintegration. A second major reason for the loss of historical work has been how earlier decades of archaeology have tended to discard remnants of textile evidence as being unimportant, uninformative and unattractive. Until the 19th Century most of the early fiber technologies and skills were handed down from generation to generation. This was largely not through documentation and book learning, but through personal oral transmission and hands-on demonstration. Since then, the Industrial Revolution and modern technology have advanced far more quickly than 20th Century historians had been able to record those oral histories and those ancient technologies before they started disappearing. Despite the continuing universal importance of fiber and textiles in every aspect of our lives, they are taken for granted in our modern world. Nowadays we are dependent upon them for almost every moment of our lives; and yet we have little understanding regarding their composition, structure, compilation and history. Thus, here is a miscellaneous "album" of various processes, materials, graphic ideas, exhibitions, etc., to continue to help illustrate a deeper understanding of this contemporary tapestry art work based on classic ancient Near Eastern traditions.